Paul Pennyfeather (Jack Whitehall, Fresh Meat) is a quiet and unassuming theology student at Oxford. But his plans for an uneventful life as a priest fall through when he is unceremoniously expelled after a careless prank by one of the university’s infamous social clubs. Without a private fortune to fall back on, Paul is forced to take a position as a teacher at a third-rate boarding school, run by Dr. Fagan (David Suchet, Agatha Christie’s Poirot). All too quickly, it becomes disastrously apparent that Paul is not fit for the position, but a visit from the beautiful and wealthy American mother of one of his students (Eva Longoria, Desperate Housewives) stirs up hope that his luck may be changing. 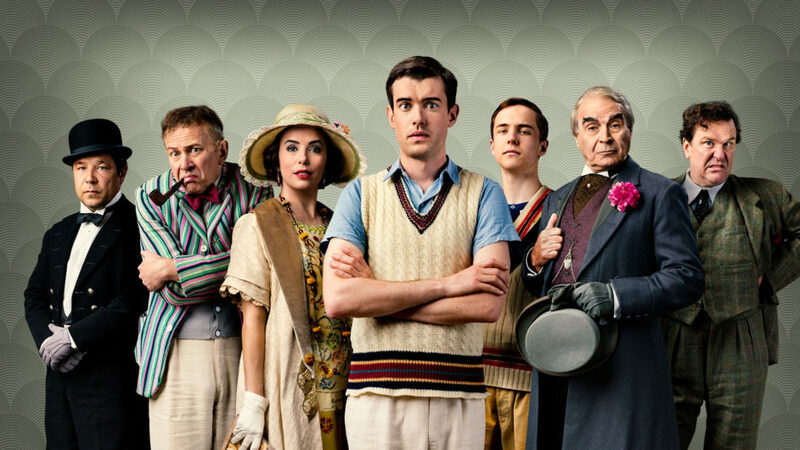 Based on the classic satirical novel by Evelyn Waugh (Brideshead Revisited), this uproarious series also stars Douglas Hodge (Penny Dreadful) and Stephen Graham (Boardwalk Empire, The Secret Agent).